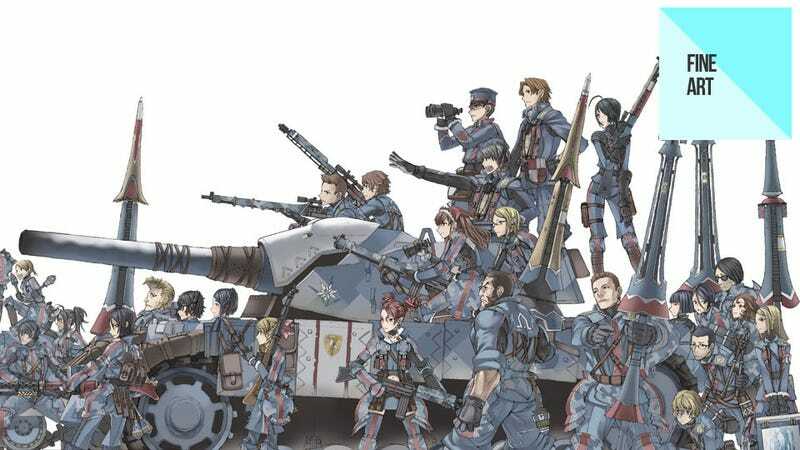 You wouldn't think a turn-based strategy game would be the type of thing you could call "beautiful", but that's exactly what cult 2008 PS3 title Valkyria Chronicles was. Every aspect of the game's visual design, from intricate vehicles to a unique "pencilled" graphics filter to some wonderful costumes was a feast for the eyes, and a big reason why it holds such a special place in gamer's hearts. If you're a fan of the game (or just its art), we've actually got some news in today's Fine Art: the amazing, large and comprehensive art book for the first game in the series has long been available in Japanese, but Udon has just released an English version. In case you need to know just why and how everyone ends up in their swimsuits.